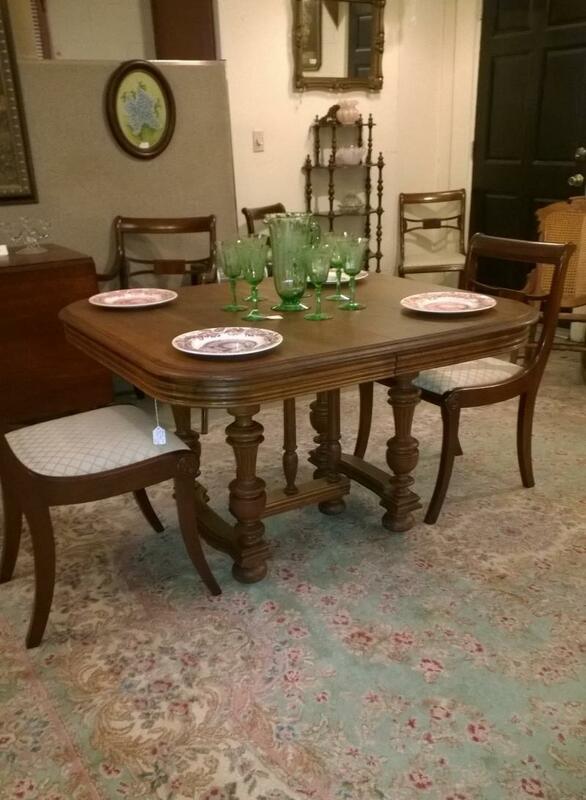 A sampling of our antique furniture is featured below. Excellent, original condition with Marstall Furniture Company label on back. 7' 10" tall X 4' 6" wide. Solid Walnut with nice turned legs. Comes with two extra 14" leaves. Nice original, unrestored condition. Circa 1880. Measurements are: 40" x 44" (without leaves). Walnut wash stand with Tennessee brown marble top, burled walnut panels and carved pulls. 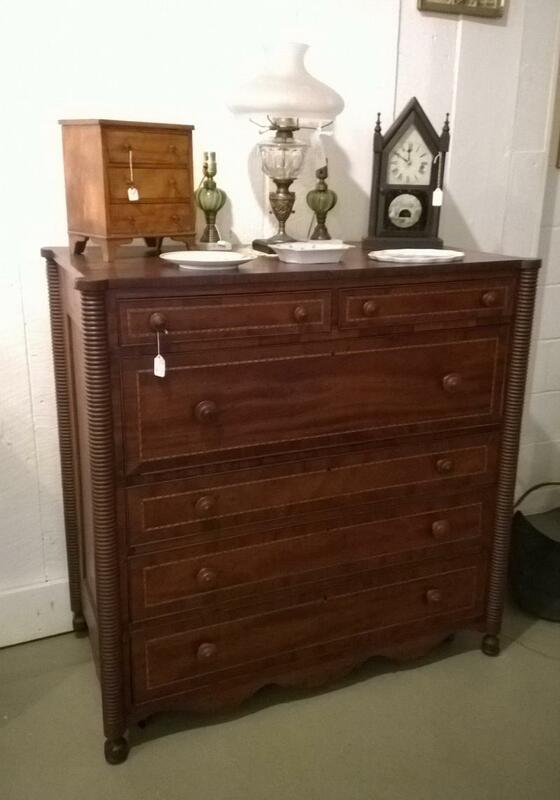 This is the finest example of victorian furniture that we have had to date. The quality, craftmanship and beauty of this piece can only be appreciated in person. CIrca 1860. Measurements are 38" wide x 45" tall x 21" deep. Nice carved detail on the corners and inlay on drawer fronts. Circa 1860. Measurements are: 44" wide, 25" deep, 43" tall. Nice original appearing condition. 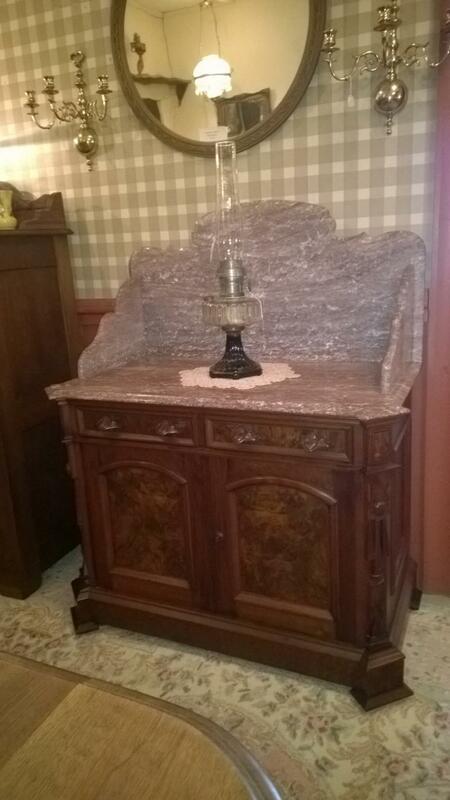 Brown marble shelf with small drawer underneath. Two umbrella holders with original drip trays. Measurements are: 29" wide x 91" tall. 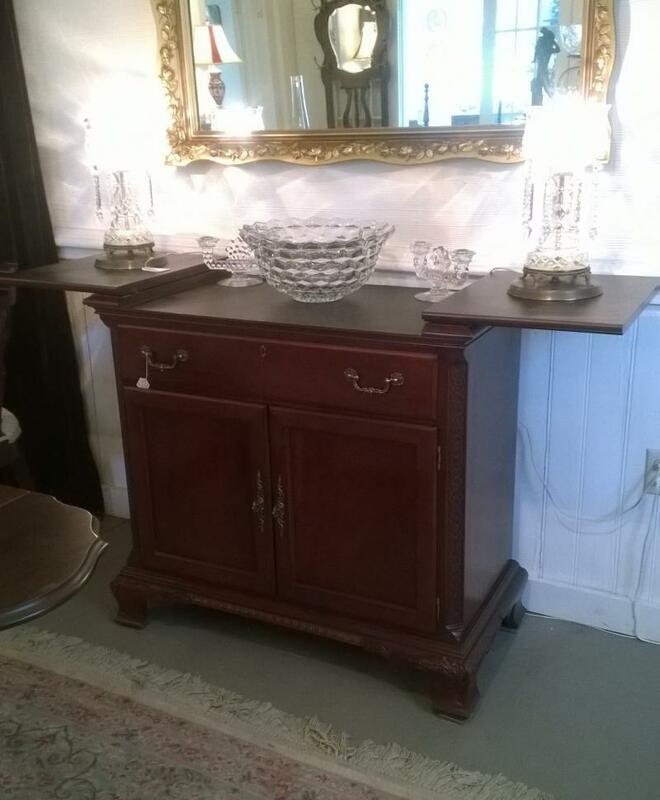 Mahogany server by Stanly Furniture. Part of the Stanley Stoneleigh 60th anniversary collection. Felt lined silverware drawer. 35W x 34T x 18D. 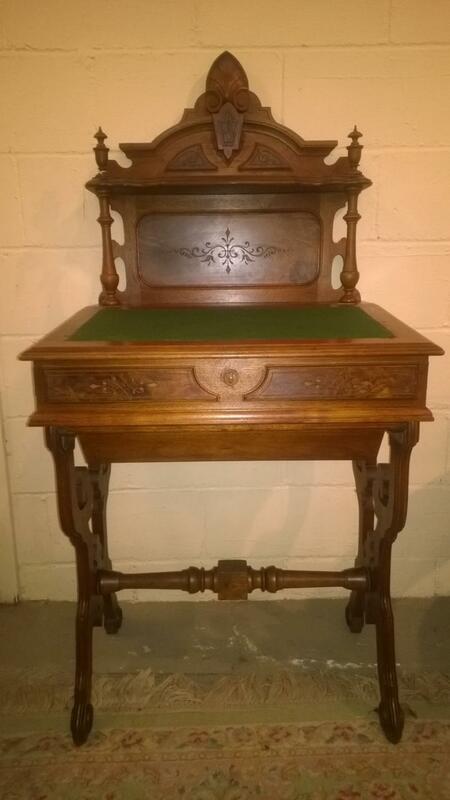 Beautifully carved, excellent condition desk with nice burled walnut details. Lid opens to reveal storage and also has a drawer underneath. Circa 1870. 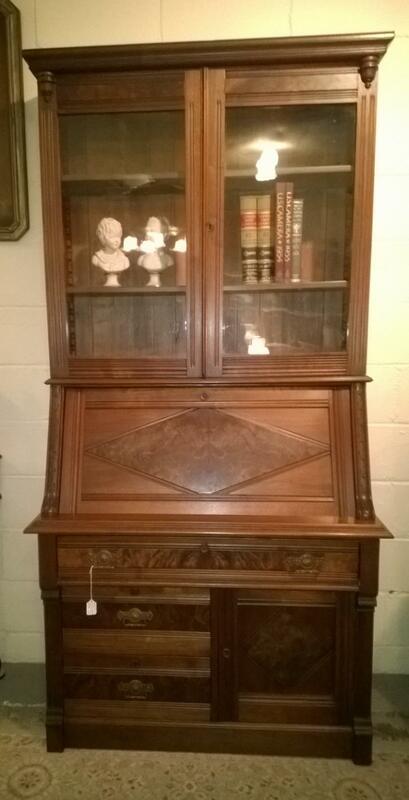 Beautiful walnut secretary. Excellent original condition with original wavy glass. Lid opens to reveal two small drawers,multiple size cubby holes and a leather writing surface. Very, very fine quality craftmanship. The secretary measures 41" wide x 20" deep x 82" tall. Circa 1870. 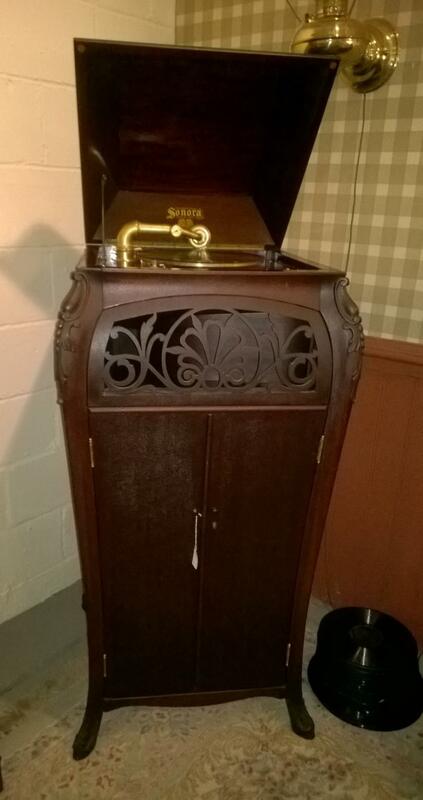 Sonora phonograph. 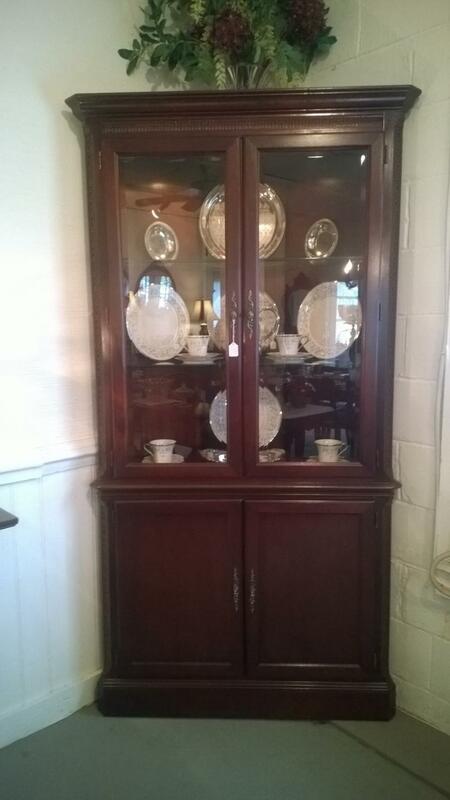 Mahogany, bombay sided cabinet. The "Grand" model. Original finish. Plays beautifully. Circa 1917-1919. 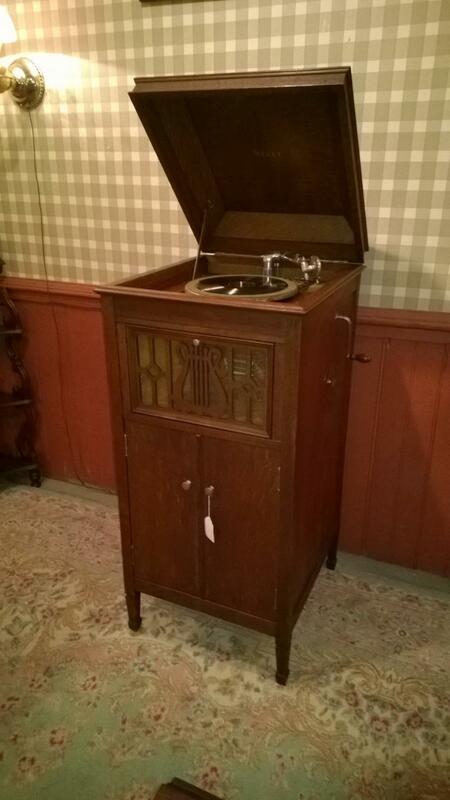 Starr phonograph with oak cabinet manufactured in Richmond, Indiana. Excellent original condition. Everything works as it should. Circa 1917-1925. 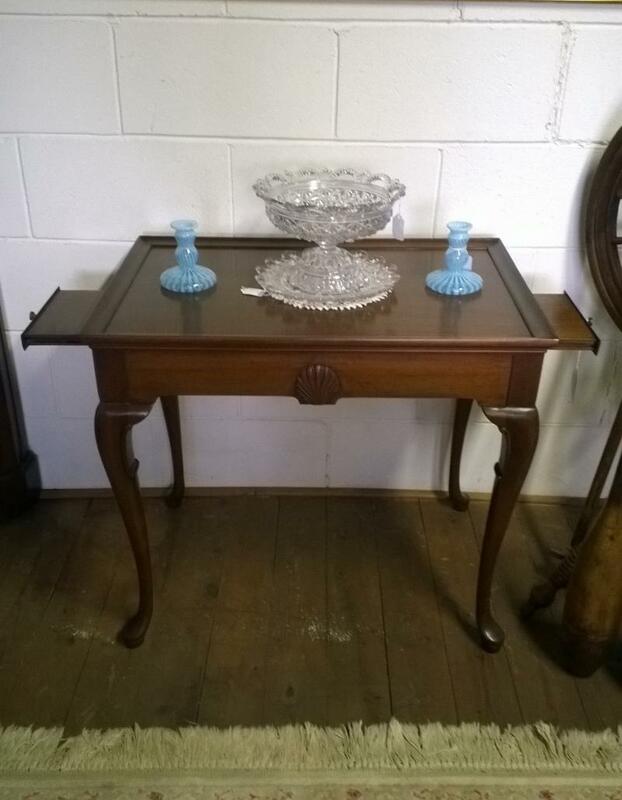 Very nice mahogany tea table with queen anne legs and pull out candle holders. Circa 1950's.